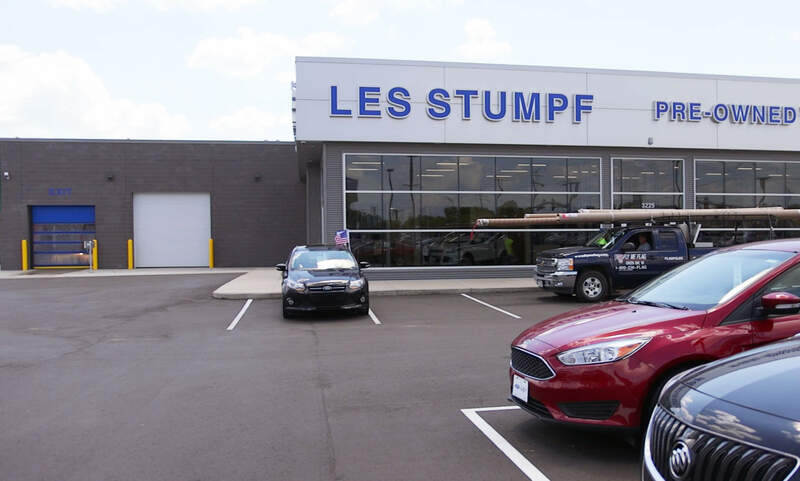 When the Les Stumpf Ford Dealership in Appleton, Wisconsin, decided to move across the street, the architect needed to meet updated energy codes, and the owner needed the durability of a masonry building for the new facility which included a new automatic carwash basin. Concrete block is a structurally sound product that is cost-effective for walls. However, it has little thermal resistance, and R-value can be difficult to get in block buildings such as the one wanted for the Dealership. The architect needed to specify a tough product for the wall that had a high R-value and could be exposed to moisture, wind, and the roughness of a carwash bay. It was also important to both the architect and the owner that the wall be aesthetically pleasing. While architects and owners have challenges of their own, as depicted during the planning of the new Les Stumpf facility, contractors, such as Miron Construction, are under high amounts of pressure to save time and get a job done quicker than ever – without errors or delays. The architect selected the InsulTech System™ from CRH's Echelon Masonry product line for the exterior walls and the new automatic car wash bay. InsulTech™ is similar to traditional masonry, and would live up to the wear-and-tear of the wash bay and the moisture the walls would be exposed to. 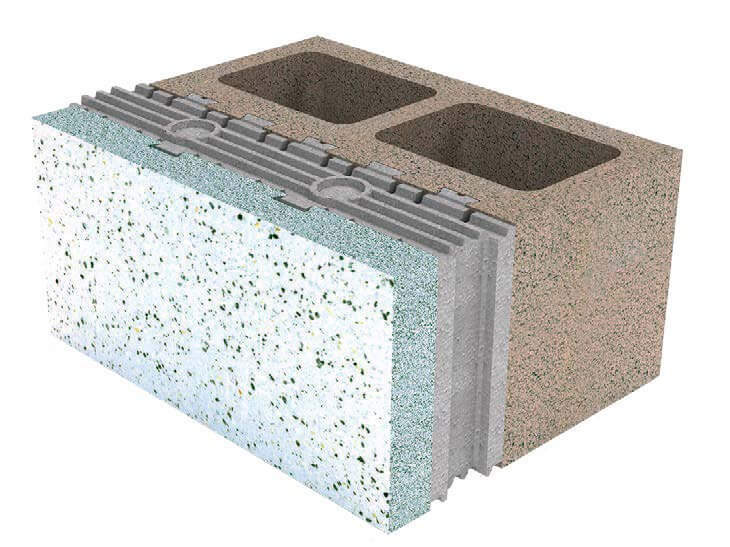 InsulTech is a complete thermally broken insulated concrete masonry system. The product line includes a full complement of blocks and concrete masonry units. 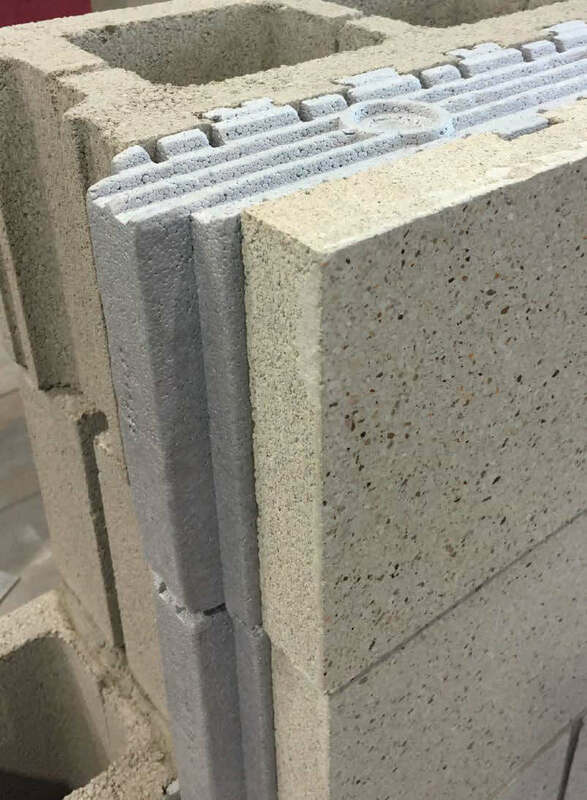 Insultech offers high thermal efficiency in an innovative design, which combines a pre-assembled structural masonry unit, a molded insulation insert, and a thin veneer face. Additionally, it provides design flexibility, has wind-load resistance and fire integrity, and is available in standard finishes, colors, and textures. Read more about InsulTech’s features and benefits here. Not only is the product innovative, but so is the way it is produced and installed. 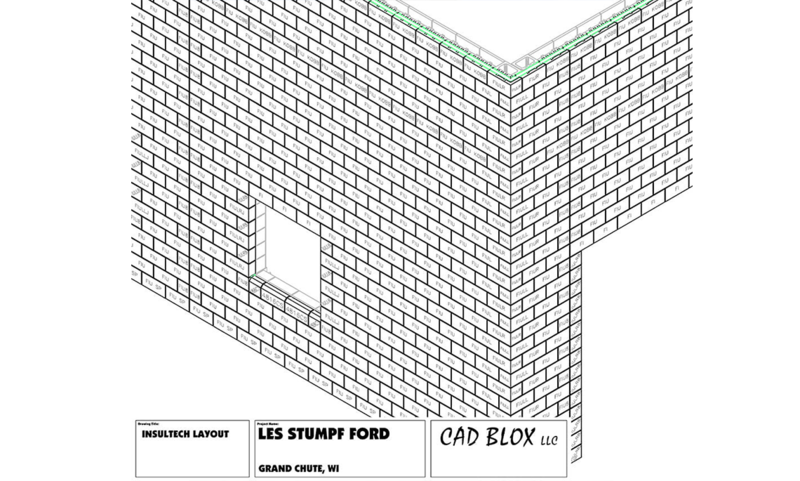 InsulTech uses CAD Blox software which allows Echelon to create blocks specific to each section and need of the wall. Additionally, it gives the architect and owner an opportunity to see what the final system will look like on the project. Contractors get the most benefit from the CAD Blox software, though. 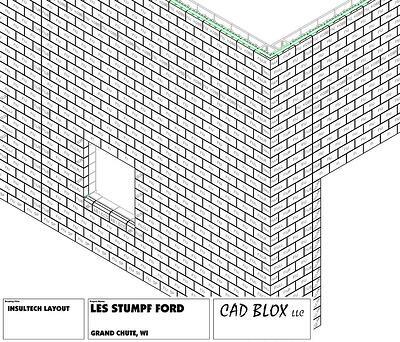 For the Les Stumpf facility, Miron, who was the self-performing mason on the job, used print-outs of the CAD Blox drawings in concert with installation to give the masons an accurate representation of where the pieces went and how they fit together. By choosing an innovative product such as InsulTech for the Les Stumpf Ford Dealership, the architect was able to meet energy requirements and aesthetic needs, and the owner was able to keep the project on schedule while achieving the thermal and moisture resistance needed by the wash bay. Additionally, it gave Miron the opportunity to work with an innovative product that installs like traditional masonry. 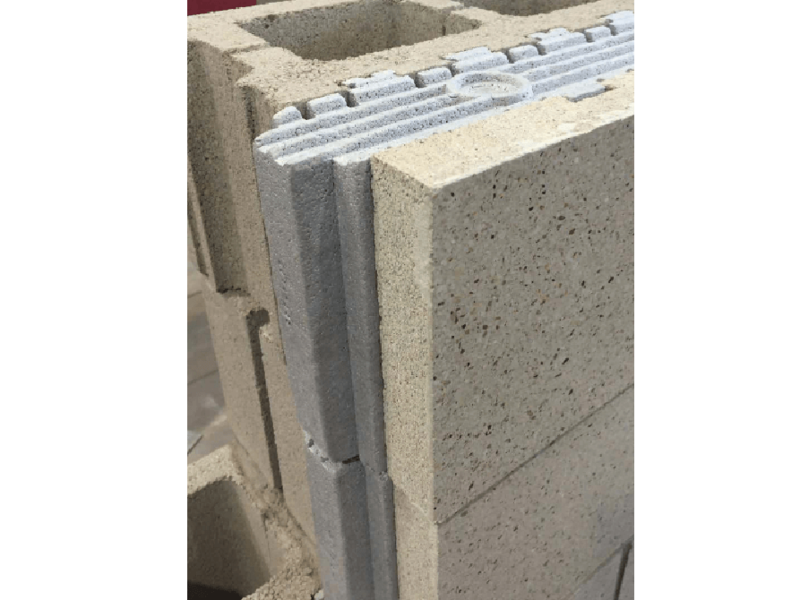 Because the product combines a pre-assembled structural masonry unit, a molded insulation insert and a thin veneer face into one system, separate trades for masonry, insulation, and vapor barrier were not required. While installing new products can be risky for contractors since there is a learning curve, InsulTech helped Miron avoid potential headaches. Since it’s installed similarly to traditional masonry walls and CRH offers guidance through tools like CAD Blox and on-site support, contractors can rest assured they can use new, innovative products that will keep them competitive without unnecessary risk.